Since "Posting project" is the main action of users, it's also the main method for you to generate revenue. You should always remember to create "Posting projects" form for your users to display their projects. Visit Engine settings > Settings > Payment and go through the following steps to complete the settings: Choose the payment gateways > Create package plans > Decide additional information > Create categories. Currency: Wherever you are, it is easier than ever to set your very own local currency with flexible choices for number format (decimal point or thousand separators). You can easily find it at the first section of Payment tab. 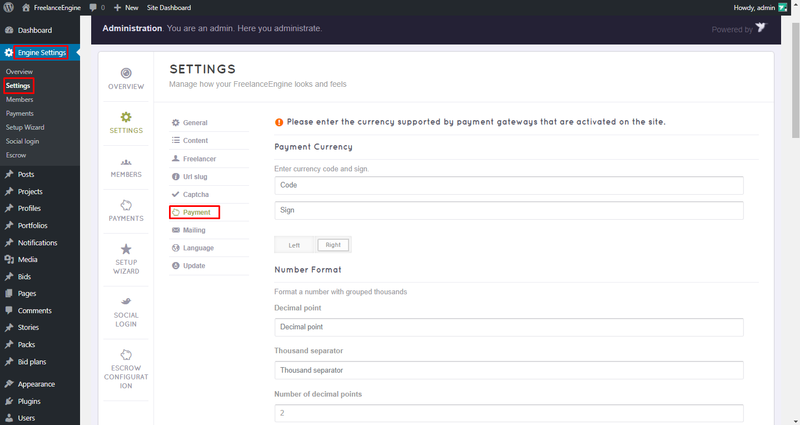 Payment gateways: FreelanceEngine is supported with three popular payment gateways: PayPal, 2CheckOut, and of course Cash. You can decide which payment gateways you want to use and disable the others. 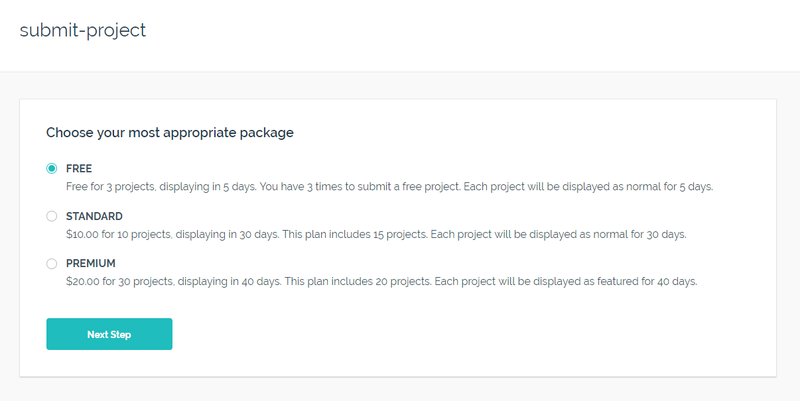 Payment plans are price packages which you can create for your users to choose when posting projects. Each payment plan shows the price, the time period a project will be active on your site and the number of projects can be posted. 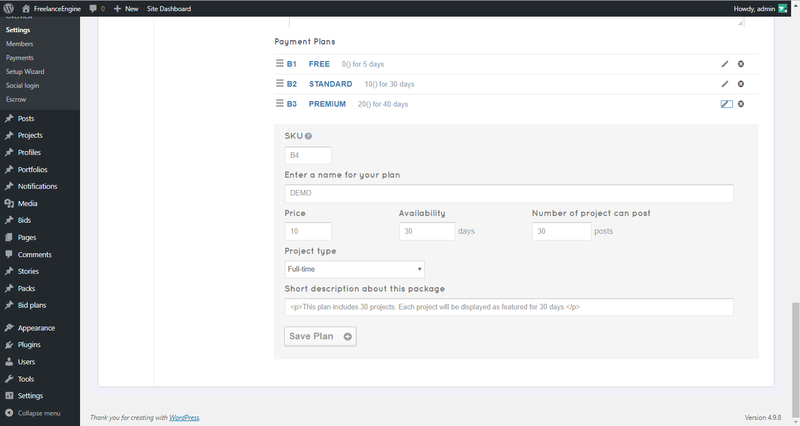 Adding new payment plan: Insert all the needed information and hit Save button to create a new plan. Enter a name for your plan: insert a name for the payment plan. Price: insert the price for the plan. Availability: decide how many days this plan will be available. Number of projects can post: decide how many projects an employer can post using this plan. Project type: choose a type of this plan. you can create different project types in “Project” tab. Short description of this package: enter a short description of this plan. You can also edit the created plans by clicking the Pen icon next to it. After completing all the needed settings, you can use the Payment test Mode to check it. Once you enable this function, you can test the payment without charging your account. According to your settings, whenever the user posts a listing, they will see the payment system appear like below. 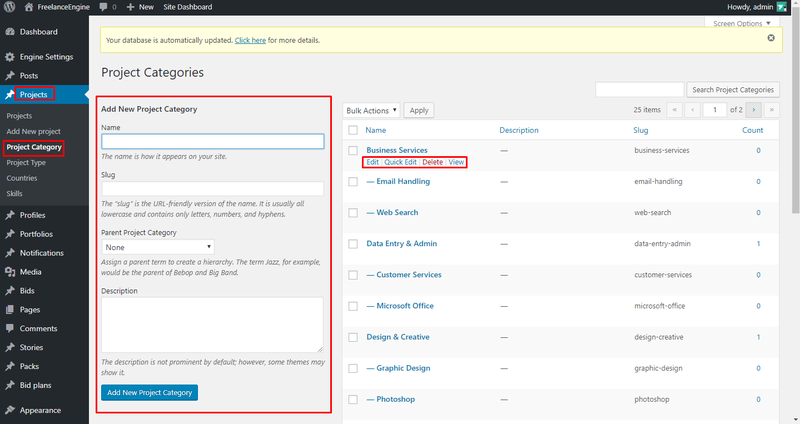 Maximum number of galleries: Simply insert the number and you can decide how many categories a post can be assigned to. Project category order: This option allows you to manage the category order based on different criterions. 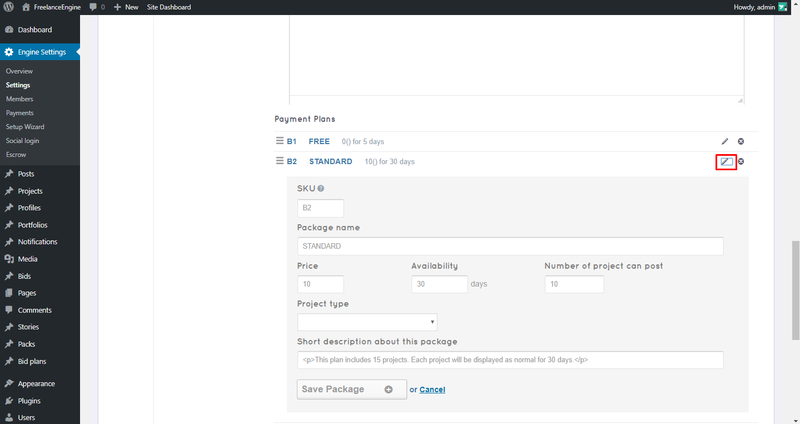 Project type order: This option allows you to manage the project type order based on different criterions. The setting is almost done, you just need to create the categories for the projects and profiles. Users will then can select the categories when making a post. This section allows admins to add and control all the project categories. 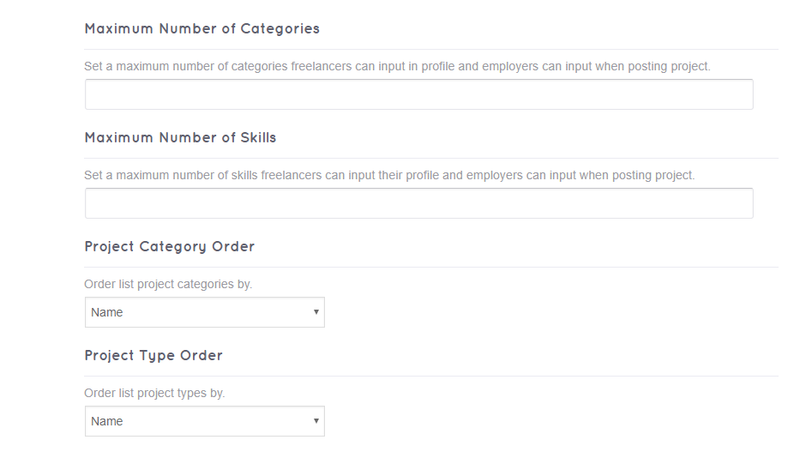 You can create the categories for profiles similar to the way you create project categories.